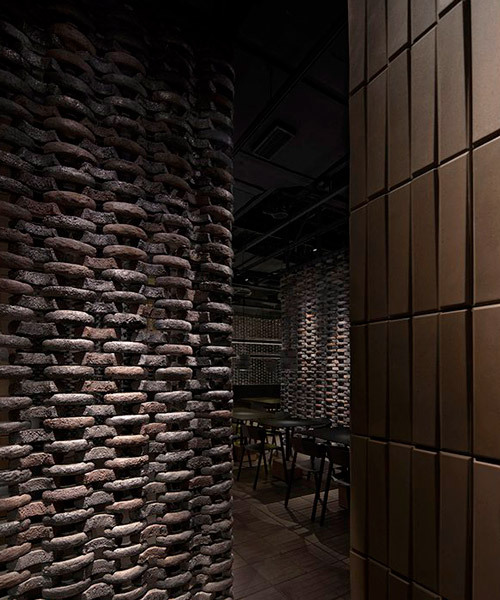 design studio, infinity nide, has completed the interior of ‘chuan’s kitchen II’ – a restaurant located in the chinese city of guangzhou. the project intends to bring traditional folk art into a new space, and in particular, the history of black earthenware from yingjing county in the west-central part of the sichuan province. 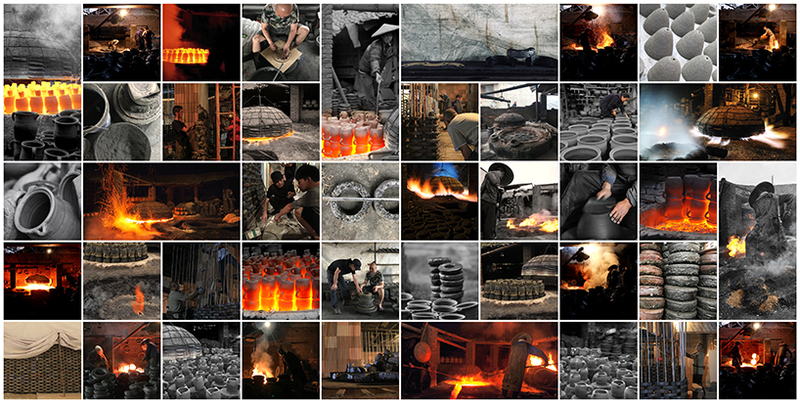 yingjing’s black earthenware pottery has a long history in the region. for over 100 years, locals have utilized the locally abundant white clay and anthracite to make cooking utensils. 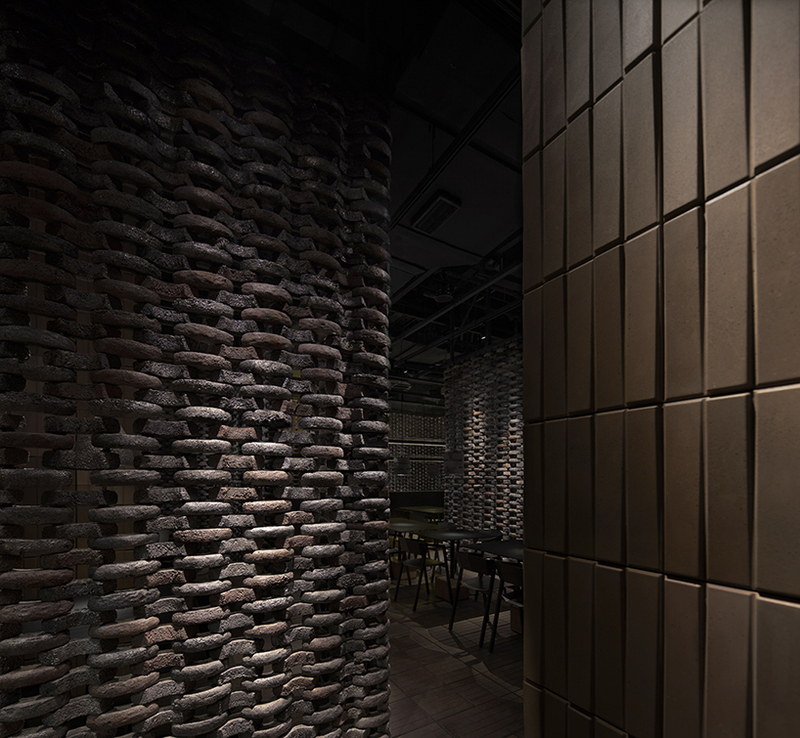 the design of chuan’s kitchen II by infinity nide incorporates this culture by using the discarded gaskets from the firing process of the earthenware, and applies them as the main decorative feature. the black gaskets have been broken up into arc-like pieces, and have then been interlaced into a huge chain net. these black gasket ‘nets’ feature heavily in the interiors, separating different dining spaces to offer guests a more intimate setting. the recycled material has also been customized to form pendant lamps, further highlighting the design concept of bringing the traditional craft into the contemporary architecture. mined soil from underground metro construction has also been used to decorate the interior of the restaurant. 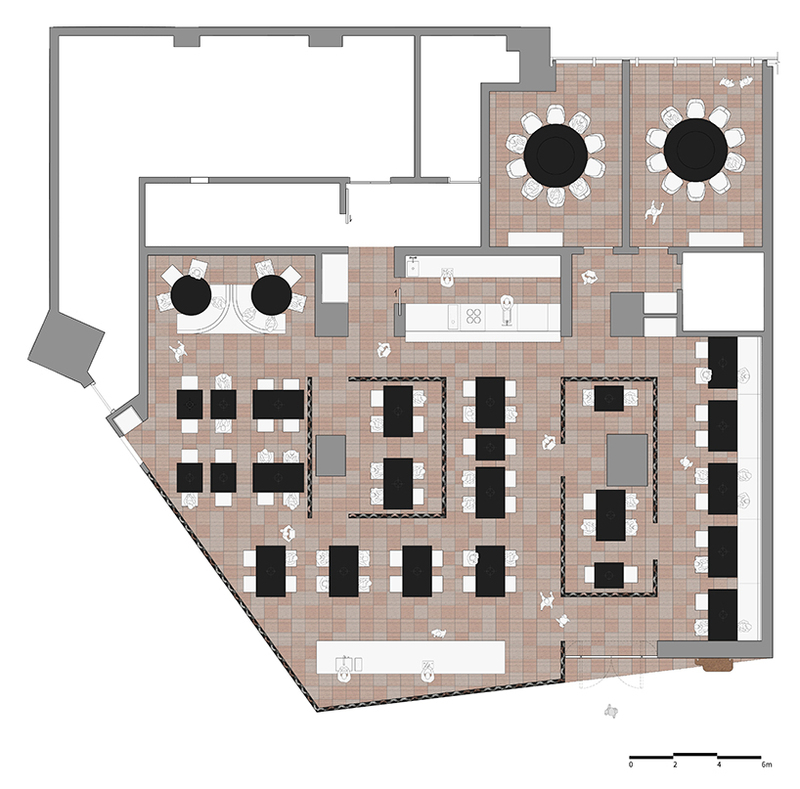 wall tiles and floor tiles, formed from the mined material, cover the inner wall, bar area and the ground of the whole restaurant. the earthy color of the tiles complements the nets, while the smooth texture provides contrast between the roughness of the gaskets. 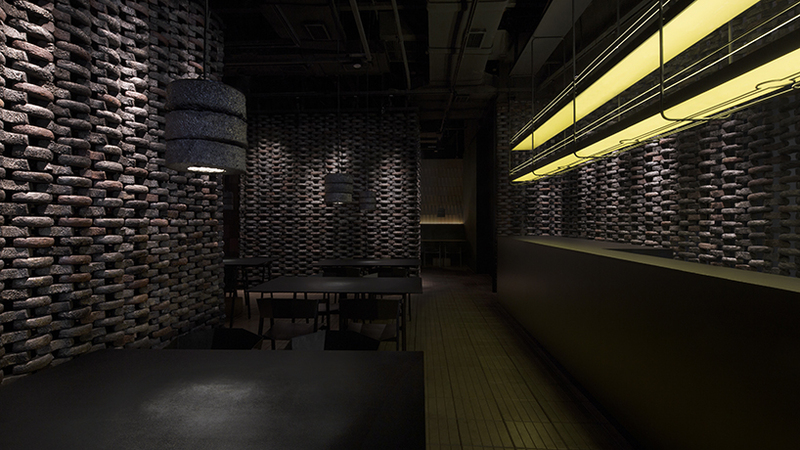 overall, the use of these materials and the dimmed lighting provides a very intimate atmosphere for diners to sit back and relax. client: guangzhou abo sunny walk restaurant co., ltd.